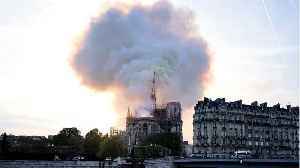 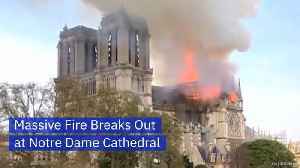 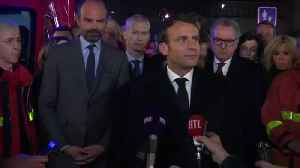 French President Emmanuel Macron addressed the world Monday, standing near the burning Notre Dame Cathedral. 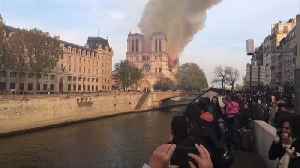 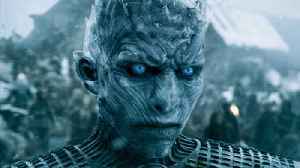 He announced the launch of a fundraising campaign to restore the beloved Paris.. 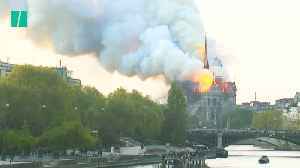 US President Donald Trump and Mayor of London Sadiq Khan have tweeted their reaction to the fire that has torn through Notre Dame. 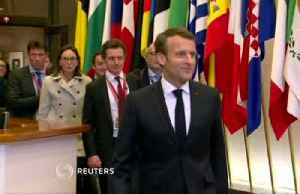 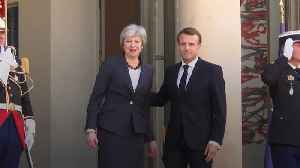 French President Emmanuel Macron also tweeted, saying: "Like all of my..
Theresa May arrives at the Elysee Palace in Paris for Brexit talks with French President Emmanuel Macron. 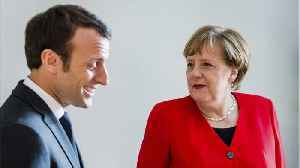 Earlier on in the day, May held talks with German Chancellor Angela Merkel in Berlin.